For our sponge bob party I was going with an underwater them. 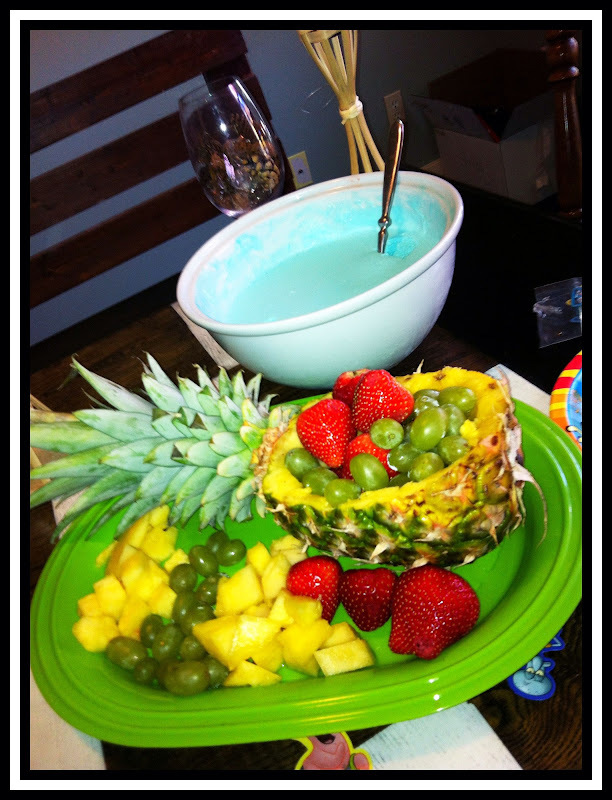 To go with the pineapple fruit bowl I wanted something blue. I discovered a recipe from jello that I changed up a little. It ended up being an amazing dip for our fruit salad. It only takes a few minutes to prepare followed by a few hours in the fridge. Jello (The flavor your choose will determine your dessert color) For Halloween choose an orange flavor! For Christmas try red or green! 1. Boil the water according to the box directions. 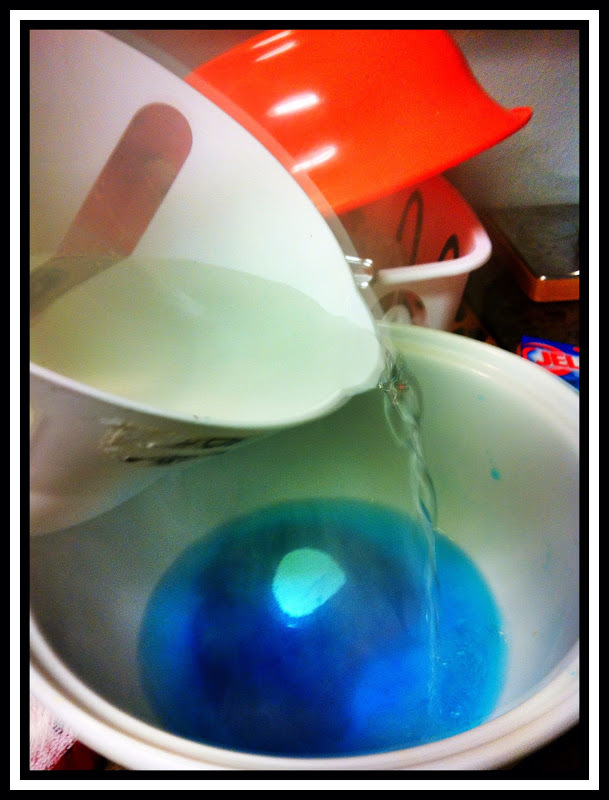 I doubled the batch so I did 2 cups of boiling water and added it to 2 packs of jello. 2. Stir until fully disolved or about 2 minutes. 3. 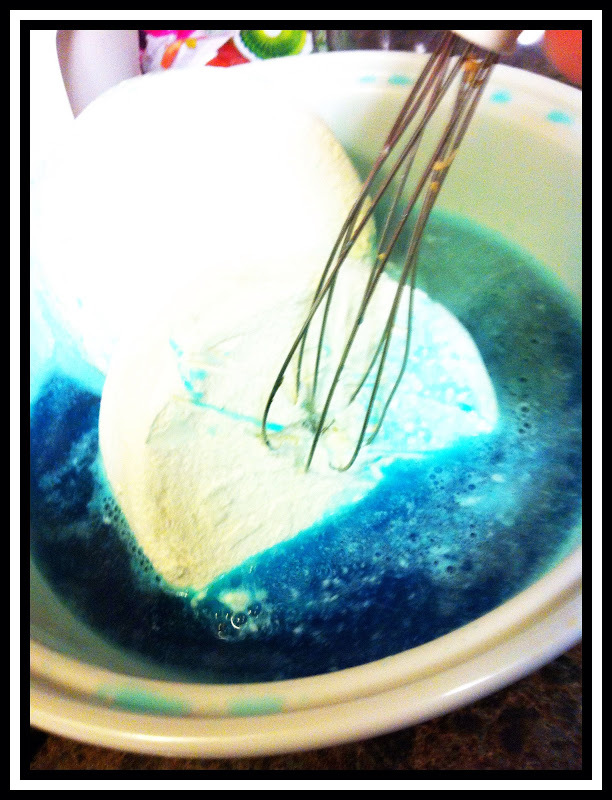 Add your cool whip to the bowl and stir or whisk until blended. 4. Once blended it will look like this. Place in the refrigerator for about 8 hours to set. 5. Pull out of the fridge and enjoy!